World´s leader in developing functional innovations and unique solutions to solve current & future challeges. Company operates in accordance with our business policy. This implies profitability and sustainability taking into account quality, environment, ethics, health and safety as well as security. It also follows the principles of sustainable development and operates in benefit of our employees, wider community and other stakeholders. 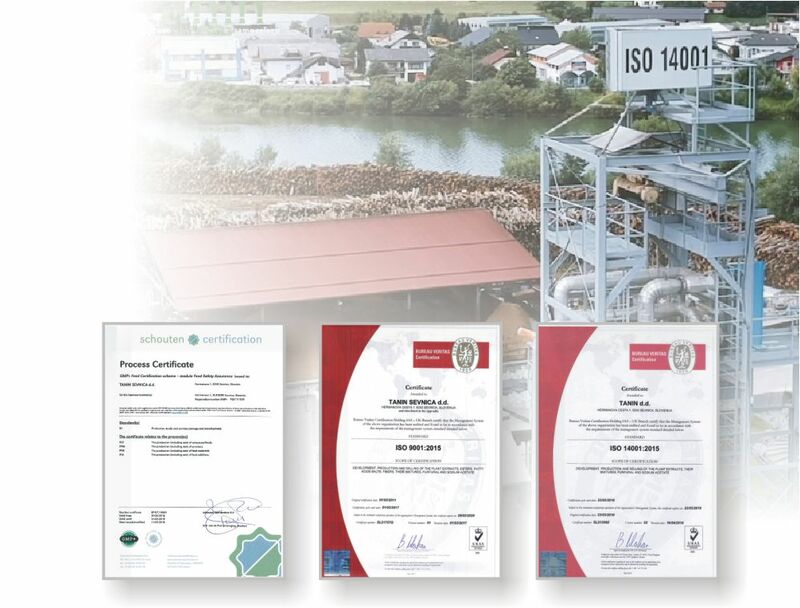 We have acquired the certificate for the environmental management system according to the ISO 14001 in 2016, which proves our awareness and responsibility towards the environment. Legal notes and privacy. Copyright (c) 2018 - Tanin d.d. All rights reserved.